Unwanted facial and body hair is a common problem that can be a source of distress and frustration for men and women. Methods such as waxing, shaving and tweezing yield temporary results and can leave skin irritated. Today, many are turning to advanced laser technology to treat this problem. 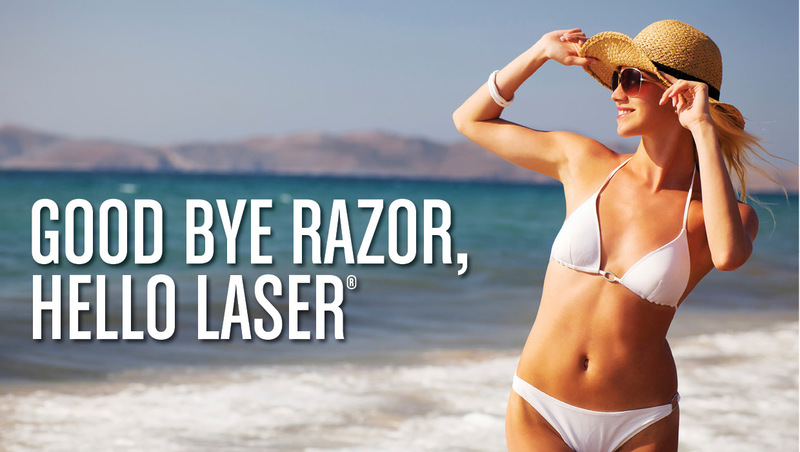 Laser hair removal is the only process proven to permanently reduce unwanted hair. The most commonly targeted areas of the body are the chin, upper lip, under arms, legs and bikini line. The laser hair removal process targets laser beams of light onto the skin, penetrating through the skin with a light/heat effect on the hair follicle. After this process, hairs treated with the laser beam are thinner and lighter in color, and some completely disappear. The average patient requires several treatments and periodic maintenance visits for upkeep. The number of required treatments varies from patient to patient and depends on each individual’s response to the process. Typically, patients with a combination of light skin and dark hair respond best to laser treatments. Those with darker skin can attempt laser removal, but in certain instances the laser has been known to affect the melanin of the skin. Laser hair removal does not successfully treat white, blonde or grey hair but medical experts continue to investigate new processes to treat patients with unwanted facial and body hair. The percentage of hairs removed each session varies by location on the body. – Thinner-skinned areas (like armpits and the bikini area) generally respond better than thick-skinned areas (like the back and chin). Approximately 10-25 percent reduction in hair growth can be expected with each treatment. Treatments are repeated every 4-8 weeks. The hair that may regrow following treatments tends to be lighter and finer in texture. Patients are instructed to use a broad-spectrum sunscreen with an SPF of 30 or higher and to avoid sun exposure following the procedure. Give us a call at 1.309.691.9831 to schedule a consultation with our team!